Lassen Creek Conservation Area, which the Trust owns and manages, is just one example of the Trust's work to conserve wildlife habitat and regional water resources. 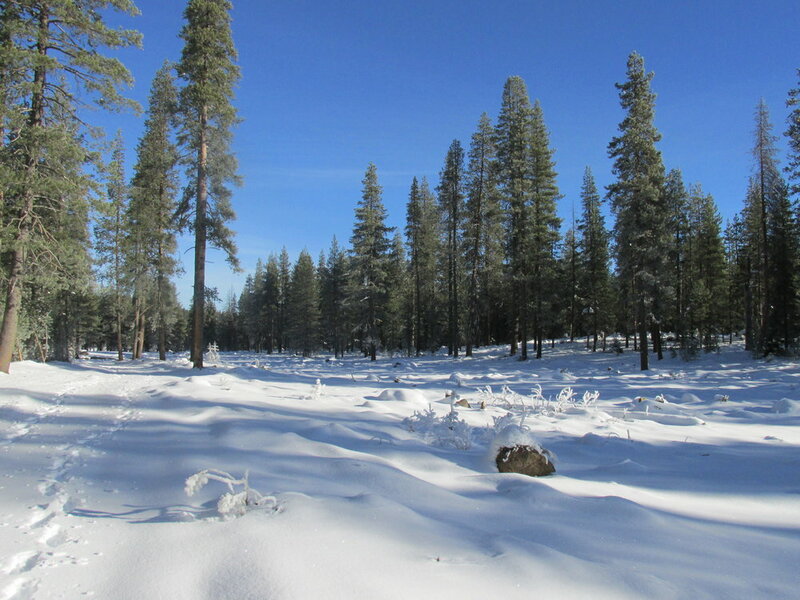 The 385-acre conservation area is included in a California Department of Fish and Wildlife Conceptual Area of Protection Plan for mule deer habitat, providing winter range for the seasonal migration of the Lassen herd. The Trust continues to work on restoration of the bitterbrush habitat, damaged after a wildfire. A new interpretive kiosk is being installed at the public parking lot off Richmond Road and a 5-mile walking trail through a grant from the California Department of Parks and Recreation and Proposition 84. The trail starts off meandering through high desert grassland and sagebrush, then quickly climbs onto a wide open ridge. Sunrise is a special time here. The views are very dramatic. Multi-use, non-motorized. Public access to the area for walking, biking and horseback riding is from January through October. 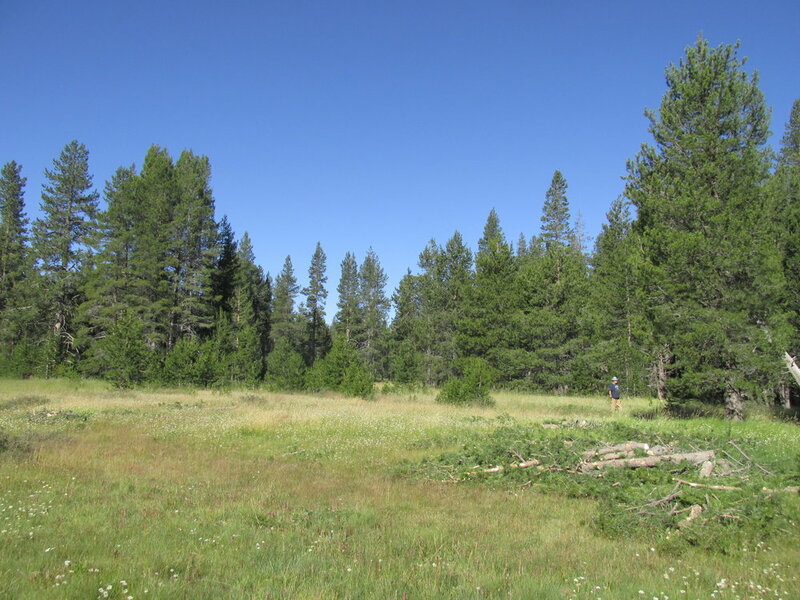 Lassen Land & Trails Trust works with private landowners in northeastern California to protect critical agricultural land, open space, and wildlife habitat through the purchase of conservation easements. Through a conservation easement, a landowner enters into an agreement with a qualified land trust, government entity, or conservation group regarding future uses of the property. The Trust works with the landowner to determine the specific rights that will be included in the conservation easement, and all other rights are retained by the landowner, including control over public access to their property and the right to sell the property. These easements remain in effect in perpetuity, regardless of change in ownership, forever protecting the property from development and subdivision. If you are a landowner interested in pursuing a conservation easement on your property, or would like to learn more about this process and its importance to the public, please contact our Project Manager. The Hulsman Ranch has remained with the same family since 1862. Stewarded by women farmers since 1914, today it belongs to sisters Hannah and Susan Tangeman. The Lassen Land and Trails Trust hold a conservation easement on 535 acres of wildlife habitat and grazing land with the larger ranch. The Hulsman Ranch remains a working, sustainable ranching and timber operation, contributing to diversity of this wonderful area we can 'home'. The Rosenberg Conservation Easement protects a 640-acre private inholding surrounded by National Forest land along the upper reaches of Pine Creek, the primary tributary to Eagle Lake. The conservation easement was donated to the Trust by the Rosenberg Family, who continue to manage primarily for non-industrial timber production, as well as leasing the grazing rights. The Trust has partnered with the landowners, the USFWS Partners for Fish & Wildlife Program, Sierra Nevada Conservancy and the Lassen National Forest to complete a meadow restoration project to remove encroaching lodgepole pine from Upper Stephens Meadow, a large meadow along Pine Creek as it bisects the property. Removal of conifers was completed during the summers of 2015 and 2016 by hand crews and mechanical equipment, with on-going maintenance completed annually by volunteers. 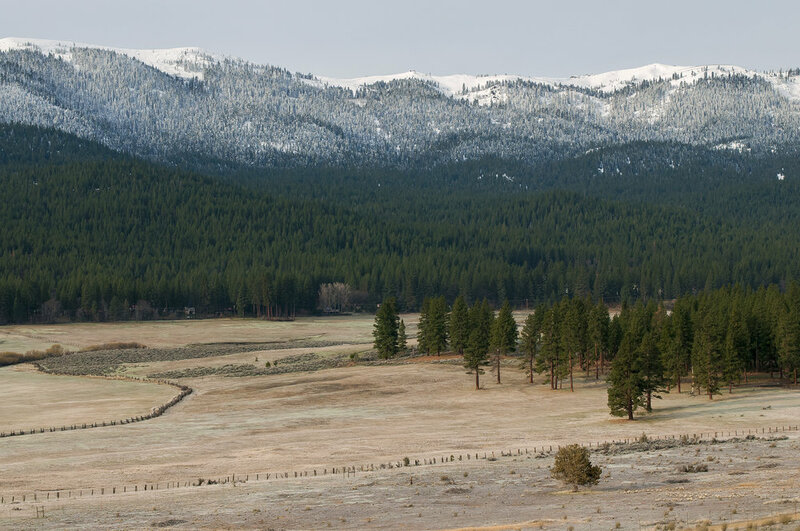 The Pyle Ranch Conservation Easement forever protects 581 acres of agricultural land located just outside the city limits of Susanville. This ranch was identified as a high priority for conservation by Lassen Land & Trails Trust and state and federal partners because of development pressure resulting from its location along Hwy 36 and proximity to residential development, as well as the riparian corridor of a section of Gold Run Creek.